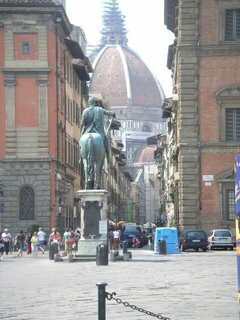 Back from two weeks in sunny Florence. One of the best vacations of my life. Highly enjoyable, highly recommendable! Only minus being a bit too many American and Danish turists, but thats probably to be expected in the rennaisance capital of the world.